Freightplus (Australia) Have a Passion for Shipping Difficult Cargo! We are pleased to approve Freightplus (Australia) Pty Ltd as new members! Their offices are located in Sydney, Brisbane and Fremantle and they offer complete project cargo and heavy lift services as well as RORO, breakbulk, chartering, door-to-door, and installations. The company were given excellent recommendations from several PCN members during their application. CEO, John Gleeson comments; "Freightplus opened for business in Sydney in January 2000, as a two-man operation. 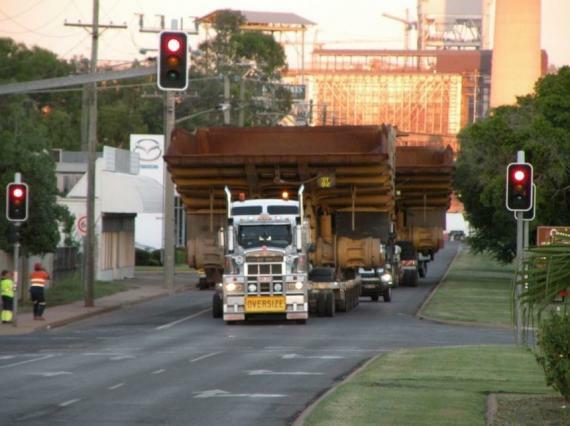 Since then, we have spread our wings across Australia and we are now specialised in shipping very large machinery and ANY heavy and over-dimensional cargo, particularly for mining, construction, marine and industrial projects. We're big on experience and innovation, combining to make Freightplus a global market leader in our niche as shipping professionals for heavy industry. More importantly, we love we what we do! We have a passion for shipping difficult cargo and the challenges of transporting very large pieces of equipment from one place to another." "Whether mobilising or demobilising a mining plant, relocating a factory production line, repositioning a tower crane or moving any extraordinarily large shipment, Freightplus has the knowledge, experience and resources to ensure everything is transported smoothly and efficiently. Where the untrained eye might see an asset that's too big or heavy to ship, or a destination that's impossible to reach, we see an opportunity. We know the risks, challenges and obstacles and what is required to overcome them because this is what we do, every day." "When moving long, tall, wide or heavy cargo and shipping any out-of-gauge cargo needing special handling, Freightplus understands exactly what is required."